My entire life I’ve dreamed about visiting Poland. My obsession stems from my Canadian-ness—so many Ukrainian and Polish people have immigrated to my country and their pierogis are pretty much a national standard. I mean, Swiss Chalet serves perogies deep fried, and Toronto hosts its very own annual festival in Roncesvalles, which has every Polish person in the city beaming with pride. Krakow is Poland’s cultural capital and the top destination for tourists, partially because its Old Town was left largely unscathed from World War II (the Nazis were headquartered here, which was the city’s architectural saving grace). Today it’s a city of contrasts: history buffs can appreciate Medieval cathedrals and somber Holocaust experiences, while urbanites find inspiration from contemporary art galleries and nouveau Polish kitchens in a city that is marvellously modern. 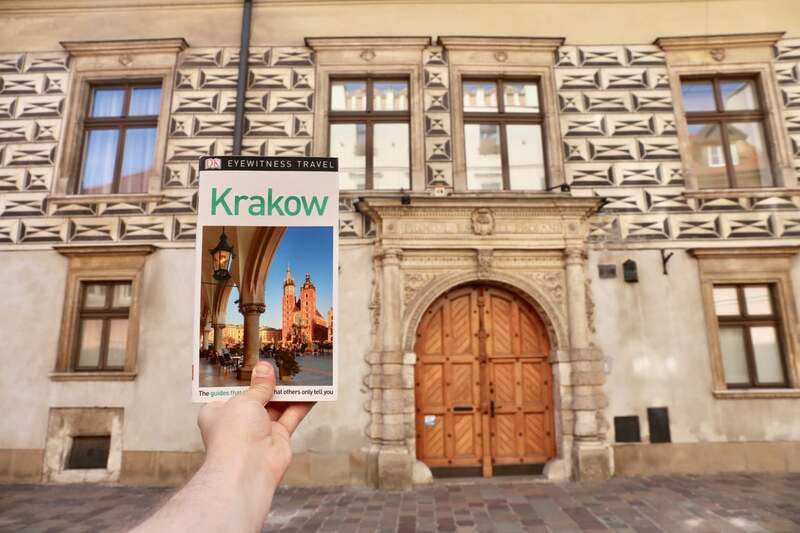 In preparation for my pilgrimage to Poland, I researched Krakow months in advance using the newest edition of Eyewitness Travel Krakow (DK Publishing, 2018). The informative guide includes detailed itineraries and “don’t miss” destination highlights at a glance, illustrated cutaway 3-D drawings of important sights, floor plans for major museums, area maps marked with popular sights, top hotel and restaurant listings, as well as a slew of info on niche interests such as Polish architecture, where to eat and drink, best markets to shop, and a comprehensive history section that showcases Krakow’s complicated past thanks to eye-catching illustrated pages that summarize periods from the Gothic, Renaissance, Baroque and beyond. The city’s most perfectly located luxury hotel is the Sheraton Grand Krakow. It sits in the heart of the city, perched over the Vistula River, and offers jaw-dropping views of nearby Wawel Royal Castle. Situating yourself here for the weekend means you’ll never have to jump in a cab or hop on the tram as all the major sites are no more than a 10-minute walk away. The recently renovated Sheraton Grand Krakow offers 232 spacious rooms and suites featuring a modern, residential design outfitted with customized furniture, intimate lighting, and the unique Sheraton Signature Bed Experience. Guests also enjoy 24-hour access to the hotel’s state of the art gym and pool facility, epic brunch each morning at sun-soaked Olive Restaurant, serious high-proof sips at Qube Vodka Bar, and lovely views at the hotel’s chic Rooftop Terrace and Lounge. 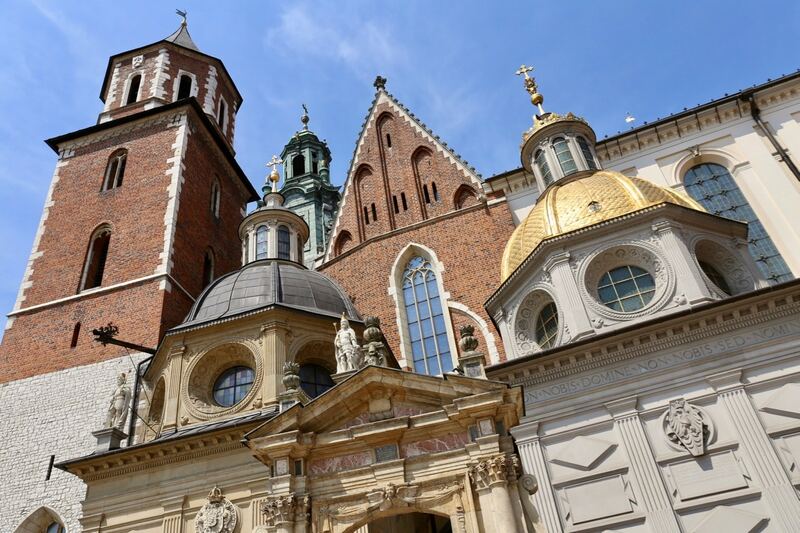 Krakow’s postcard-perfect landmark is Wawel Royal Castle, which features a collection of architectural styles as it was renovated and tweaked over hundreds of years. The present Renaissance castle was constructed in the first half of the 16th century. 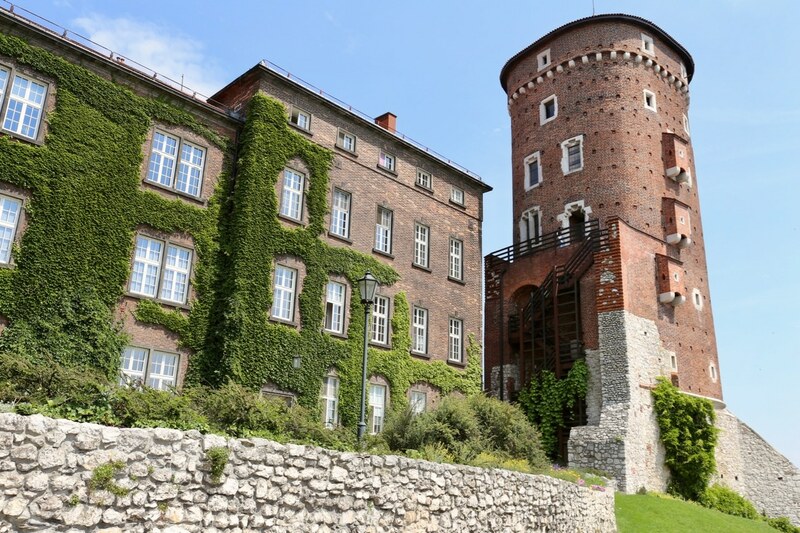 After the royal court moved from Krakow to Warsaw, the castle fell into ruin but early in the 20th century the castle was given back to the city, and restoration began to bring her back to her glory days. Today the castle’s Renaissance courtyard packs with visitors who gather here to enjoy a tour of the opulent staterooms. As you skip through the interior you’ll be treated to a marvellous collection of Flemish tapestries depicting biblical scenes, as well as a visit to the king’s bedroom, dining room, and apartments of his ladies-in-waiting. After touring through the castle’s apartments, join the hordes for a walk through Wawel Cathedral. No other building is as strongly associated with the history of Krakow than its beloved cathedral (you’ll find her featured on magnets, necklaces, and t-shirts galore). Like the castle beside which it sits, the interior today displays a variety of styles. 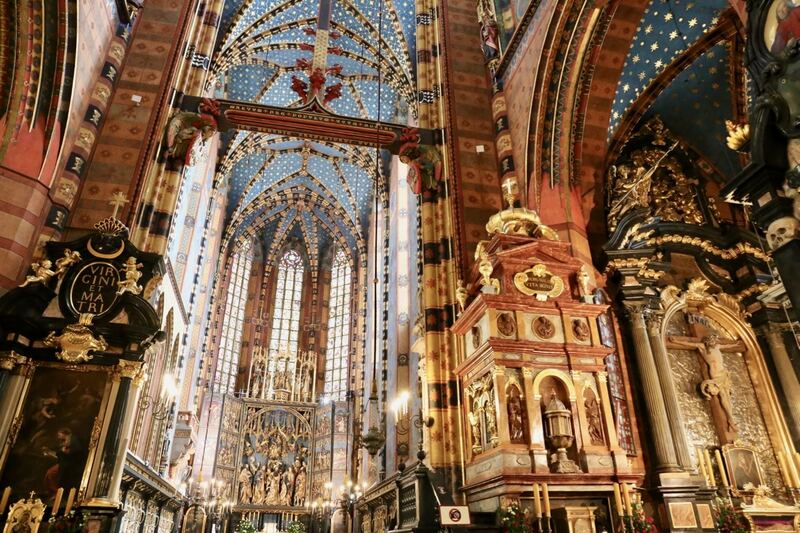 As you tour through the holy space you’ll find an ornate High Altar, a parade of decorated coffins that house notable Polish royals, and pretty views overlooking the city at the top of the Zygmunt Tower. The best way to enter Krakow’s Old Town is by marching through St. Florian’s Gate. It’s one of Poland’s best-known Gothic towers, built in the 14th century as part of the city fortifications against Turkish attack. 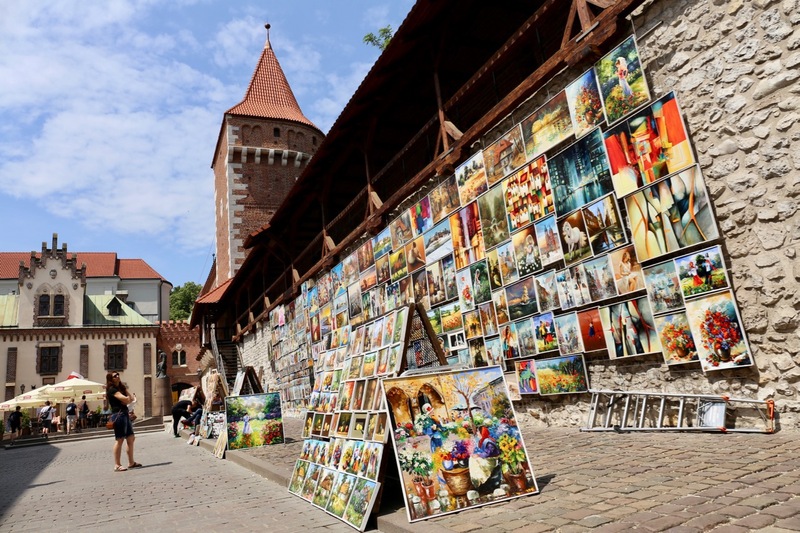 Today St. Florian’s Gate is an excellent spot to purchase paintings from local artists, which hang on the city’s ancient walls for would-be-collectors to hum and haw over. Krakow’s Market Square is located in the centre of the Old Town, and to this day it is a hub of lively activity. From dawn until dusk you’ll find buskers entertaining with sweet melodies, fresh flower stalls, souvenir shops, cute cafés, and some of the city’s top restaurants offering patios perfect for people watching. 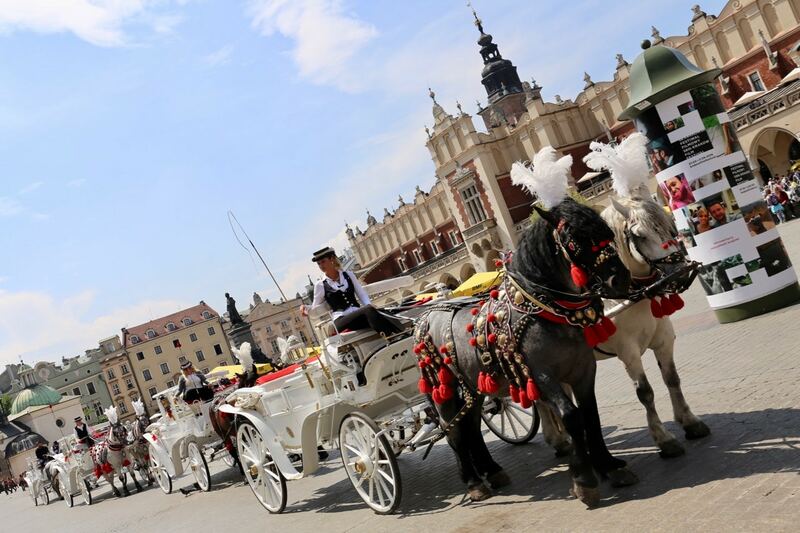 One of the city’s fondest traditions is a regal horse-drawn carriage ride of the Old Town, starting from the centre of Market Square. Situated in the Market Square, The Cloth Hall is an elaborate building that has evolved over the years from simple stone trading stalls to today’s lively shopping arcade. As well as stalls selling Polish handicrafts, the Cloth Hall houses the Gallery of 19th Century Polish Art (Europe’s largest underground gallery) and the infamous Noworolski Café, a perfect spot to rest your feet and enjoy a frothy cappuccino midday. You could spend days visiting Krakow’s hundreds of churches, but if you’re tight on time the Church of St. Mary is definitely my fave. The city’s eye-catching Gothic basilica is composed of a nave, aisles, side chapels, and two towers. Step inside and you’ll swoon over St. Mary’s eye-catching interior, featuring a dazzling blue-painted ceiling covered in the twinkle of golden stars. Other highlights include an opulent high altar by Veit Stoss, a Baroque pulpit, and paintings by Italian artist Giovanni Battista Pittoni. 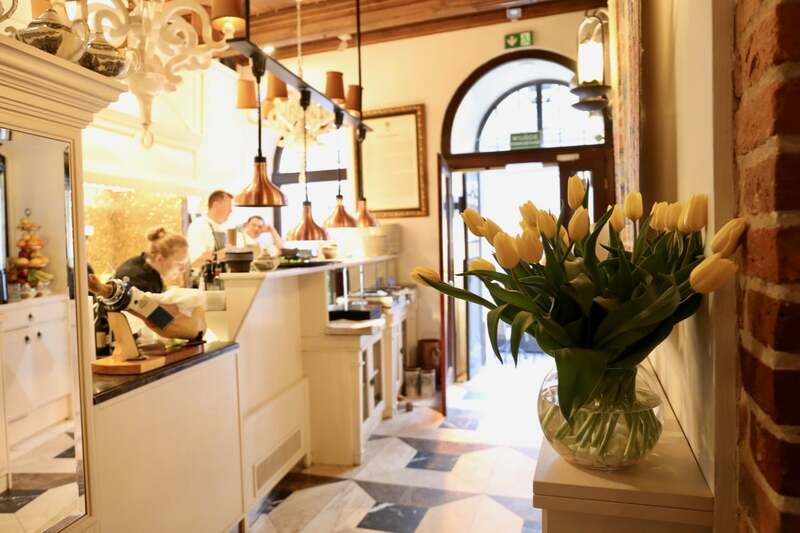 Foodies can treat themselves to a fancy feast while in Krakow at Pod Nosem. Located on the ground floor of the boutique hotel Kanonicza 22, Pod Nosem offers inspired contemporary twists on traditional Polish cuisine. Chef Przemyslaw Bilski crafts seasonal menus featuring fresh local ingredients with highlights including smoked trout with roe and apple relish, goat pierogi with parsnip chips, and rabbit with polenta and beets. For those looking to explore Krakow’s Communist past, Crazy Guides offers an unforgettable experience. 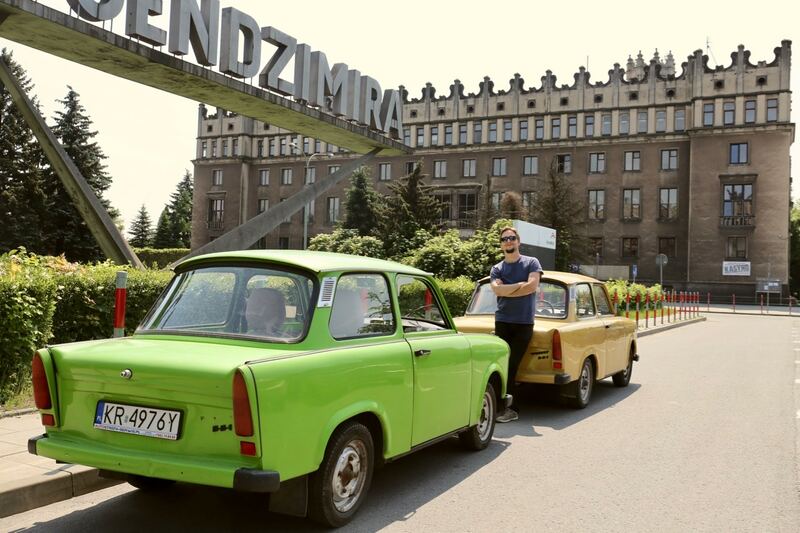 The company has a fleet of multi-coloured, 26-horsepower Trabant cars that date from 1966–90, which zip tourists from downtown Krakow to Nowa Huta, the city’s historic, centrally-planned Socialist district. This unique community project was meant to be a model Communist city, but later came to be one of the centres of revolution and resistance within Poland. The fantastic in-depth tour includes a knowledgeable guide (who doubles as your driver) with visits to the neighbourhood’s oldest restaurant (Stylowa, which opened in 1956), the iconic steel mill, a Soviet-styled apartment where you’ll watch a propaganda film and enjoy a shot of vodka, and a traditional milk bar. No trip to Poland is complete unless you’ve enjoyed lunch at a traditional milk bar.These workers’ canteens were popular and widespread during the Communist era, and although now fewer in number, they still serve locals and curious culinary tourists affordable, government-subsidized Polish eats. Today milk bars are frequented by every slice of society, from the homeless to retirees, students, and bankers. 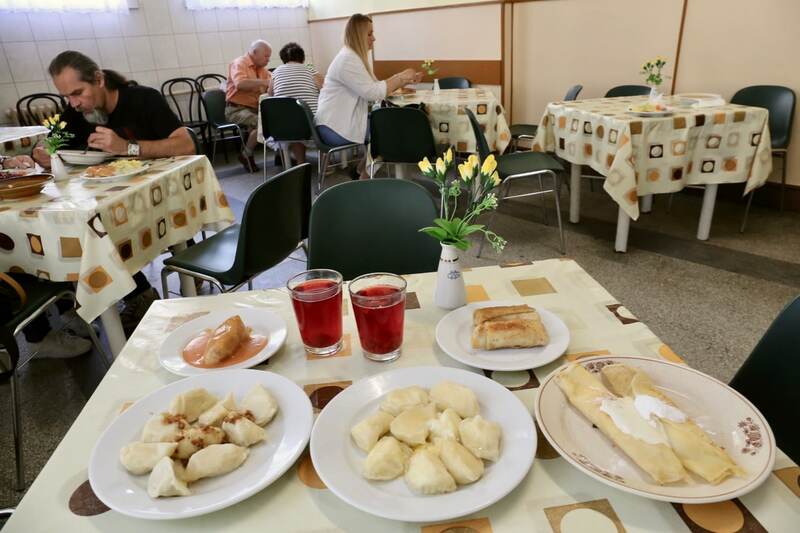 While prices are the lowest in town (you’ll pay just USD $1 for ten pierogi), the food served here will satisfy your comfort food cravings as everything is made lovingly by Polish babcias. Classic milk bar staples include sweet cheese stuffed crepes, plates piled high with plump pierogi, cabbage rolls swimming in tomato sauce, and big bowls filled with the soup of the season. Art fans looking to explore Poland’s finest masters enjoy a stroll through the National Museum in Krakow. 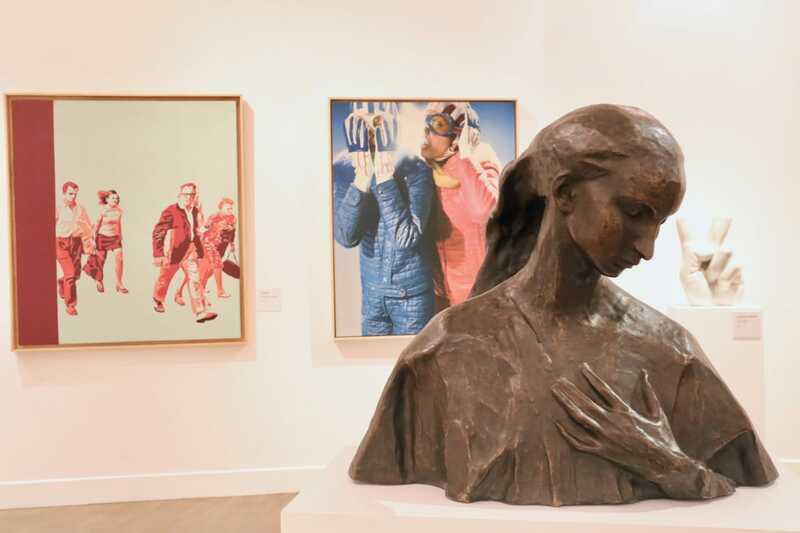 Designed in 1934 and completed in 1989, the city’s landmark museum features permanent galleries that display Polish painting and sculpture from the 20th century, decorative arts, and also feature a fantastic collection of military might from the Polish Army. The Kazimierz District (Jewish Quarter) was Krakow’s home for displaced Jews. The neighbourhood featured many synagogues, baths, schools, and cemeteries and was the active centre of Judaic culture and learning. During the Nazi occupation, the Jewish community was forced into a ghetto and much of its legacy was destroyed. Today, several synagogues as well as two local cemeteries help visitors explore the past. 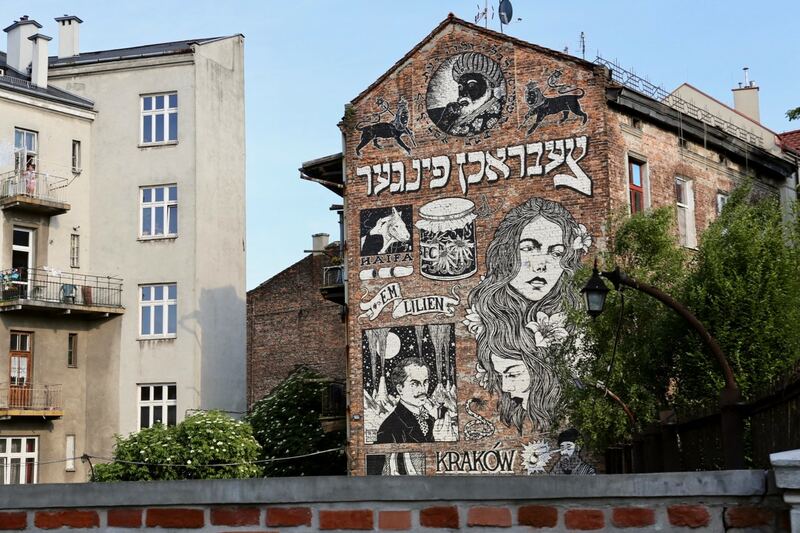 In recent years the neighbourhood has become a hipster hotspot, its streets teaming with trendy cafés, restaurants, and some of Krakow’s most colourful street murals. 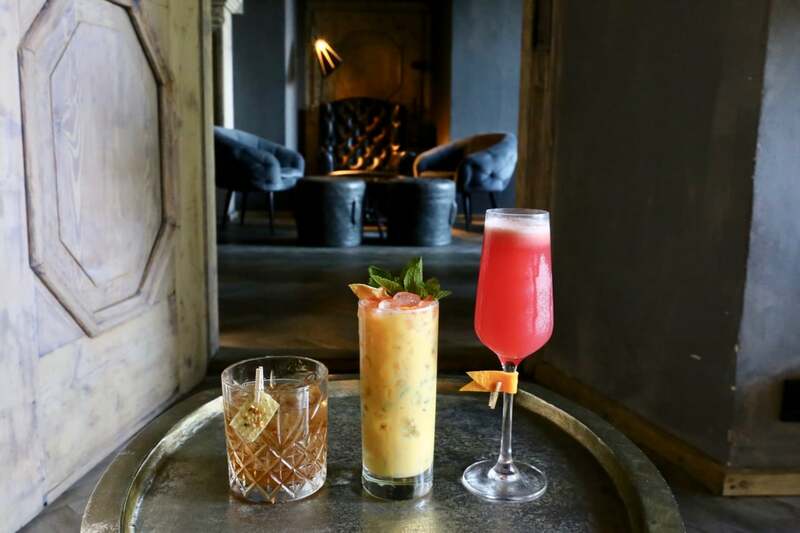 Located in the heart of the Jewish Quarter, two-year-old Sababa is the city’s current go-to destination for craft cocktail fans. The 2nd-floor, sky-high space features a dazzling bar that offers brilliant views over Kazimierz. Stroll through Sababa and you’ll find three distinct sipping rooms: a chill beanbag zone, a chic and formal sit-down space, and a dance hall where on weekends the city’s top DJs spin. The cocktail program pays homage to the neighbourhood’s roots, finding inspiration in the flavours of Israel. Enjoy lip-smacking sippers flavoured with cumin, rosewater, mint, fig, and hibiscus. The city’s most popular day trip is the impressive Wieliczka Salt Mine, a UNESCO World Heritage Site located a short 30-minute drive from Krakow. 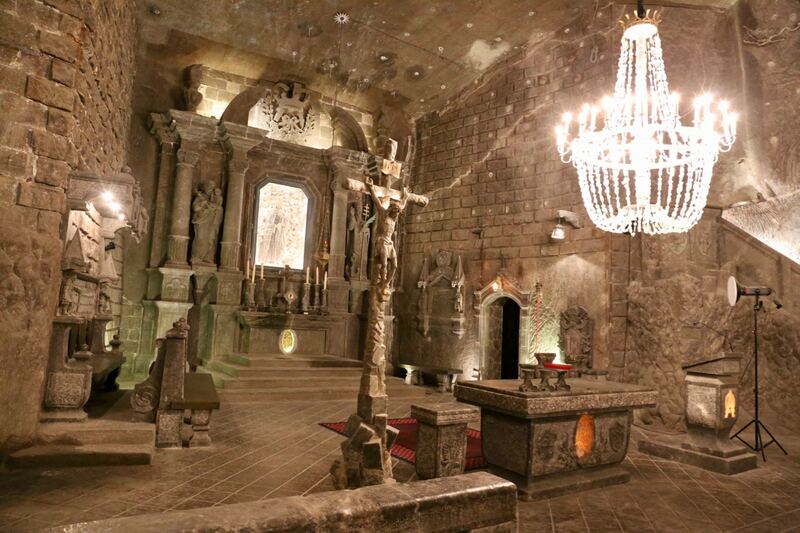 Visiting the salt mines is easy on a 3-hour Escape2Poland guided tour. The mines have been active since the early 11th century; its massive salt reserves were considered a major asset to the Kingdom of Poland. Inside the mine is a vast network of underground tunnels and chambers, excavated with the help of a horse-powered pulley system. Salt was also used to build the site’s famous chapels and altars, where the miners prayed for God’s protection against accidents (10% of miners died while working in the mines). Today visitors start their tour by descending some 400 steps (a depth of 135m) to explore sections of the mine. The 3-hour walking tour includes a fascinating history of the mine, which brings the jaw-dropping chambers and quiet saline lakes to life. At the end of the visit, foot-tired guests enjoy a thrilling elevator ride that whisks them from the bottom of the mine to the museum’s gift shop. For most people Auschwitz, located an hour’s drive west of Krakow, represents the ultimate horror of the Holocaust. Over 1.1 million people died here between 1940 and 1945, 90% of whom were Jews. 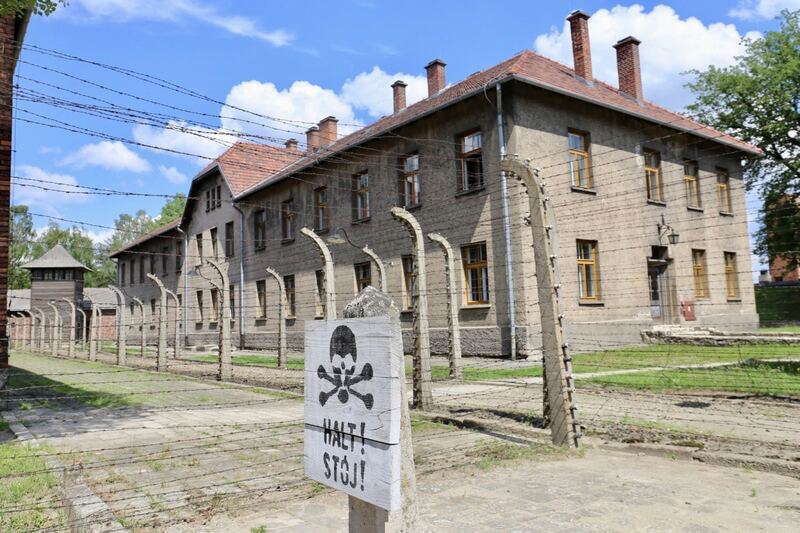 The terrifying reality of Hitler’s death camps attract hundreds of thousands of visitors each year, who stroll in silence through the site which is now an open air museum. 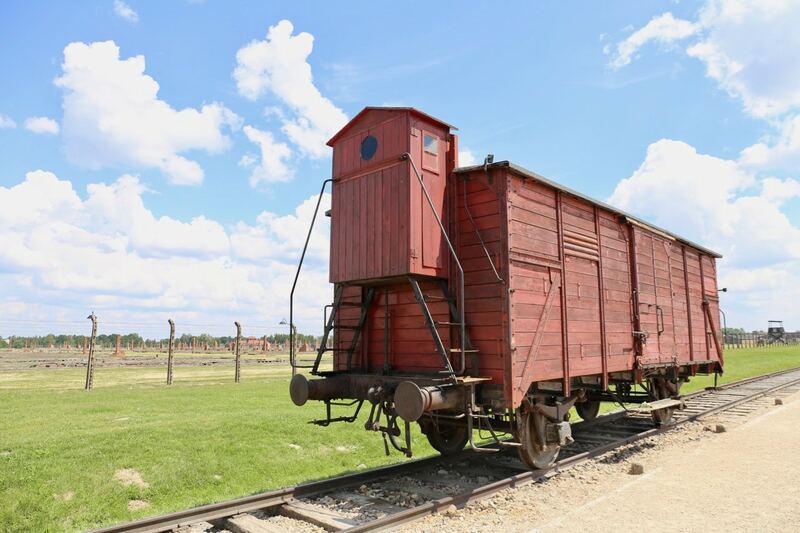 The somber experience begins with a 90-minute walking tour of Auschwitz I, which began as a camp for Polish political prisoners and subsequently became a camp for Soviet prisoners of war. From 1942 onwards, the subsidiary Auschwitz II-Birkenau camp was built to deal with the vast numbers of Jews brought to be murdered as a part of the Nazi’s Final Solution. For those who have seen the Oscar-winning films Sophie’s Choice and Schindler’s List, a trip to Auschwitz offers a somber history lesson. Be prepared for an emotionally draining day but remember (as my guide made a point of explaining) that survivors of the camps wanted to expose the crimes that happened here in an effort to ensure that such devastating treatment of our fellow humans never happens again. Interesting to note that the museum officially opened just a few years after the war and many of the first guides were brave survivors keen to have their stories heard.